Shipping orders to multiple locations? No problem, include multiple addresses and include taxes based on each location's destination. The reports you need. 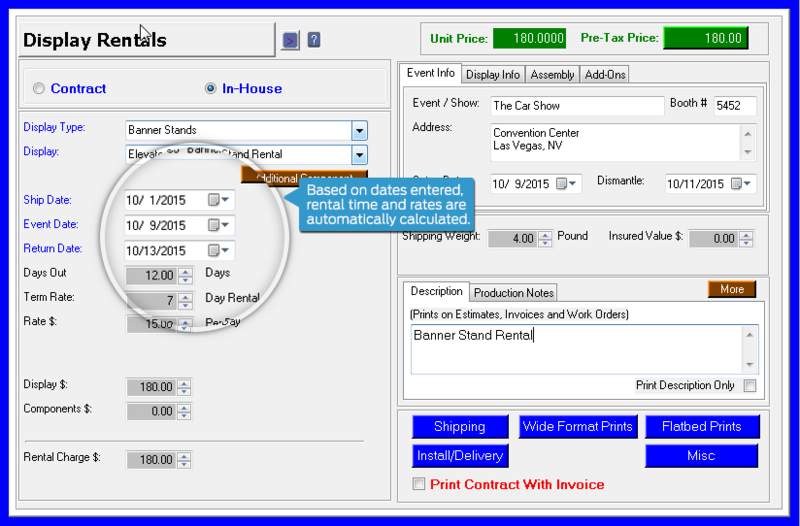 Easily manage display sales and rentals and corresponding due dates. 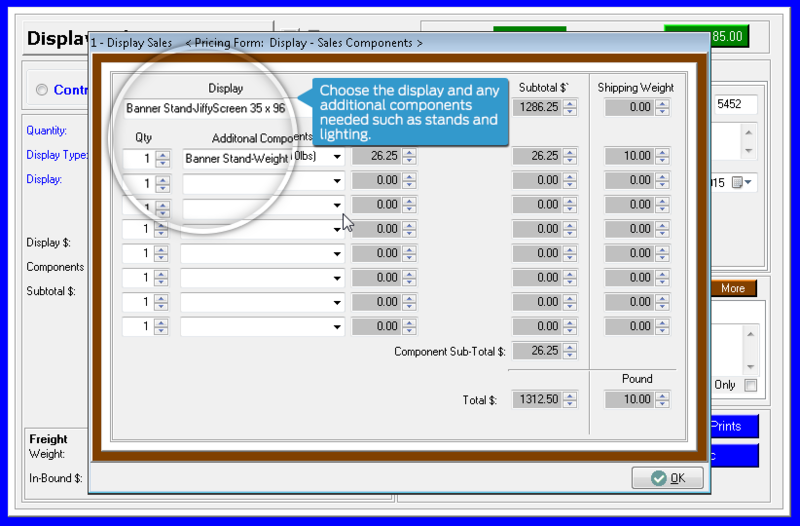 Enter all order details for display sales here - in just one screen. 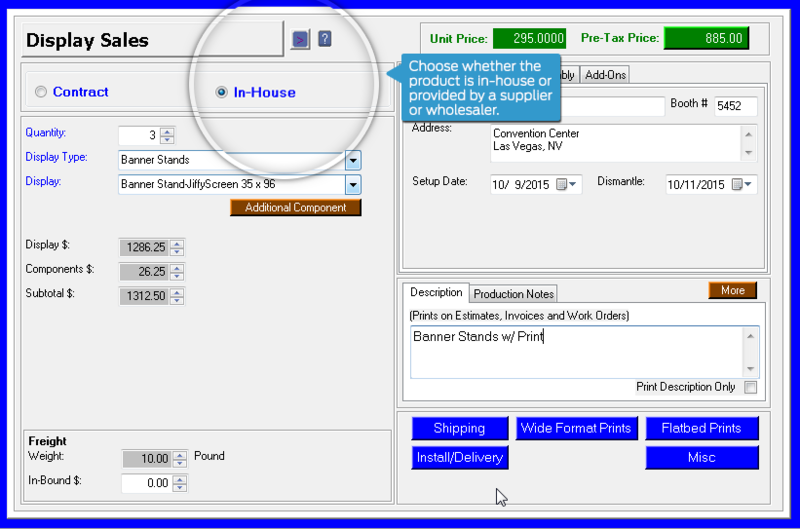 Whether in-house or outsourced, quickly determine days out, term rate and display components. Select display along with items such as lighting and stands, if needed. We desperately needed some help. The fact that Control mentioned “Display Rentals”, I couldn’t help but think, ‘Wow! This is us!’ this will give everyone the same work instructions and enable us to make real time updates to orders.